Richard Joseph Holmes was born on 12 July 1901. He married Ursula V Bieler at North Sydney in 1925. He died at his Paddington home on 25 April 1970, survived by his wife and sons Allan and Kevin. A requiem mass was celebrated at the Sacred Heart Church, Darlinghurst, attended by family, aldermen, and members of Paddington Bowling Club, before his burial at Waverley Cemetery. Richard Holmes was Alderman for Paddington Ward, 2 December 1950 to 4 December 1953 and for City Ward, 5 December 1953 to 30 November 1956. 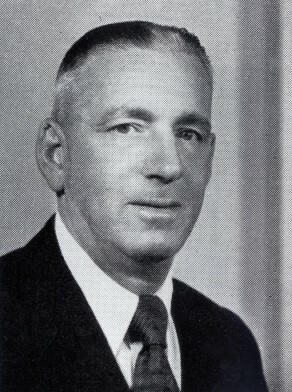 He was a member of the Health and Recreations Committee, 1951–54 and its Vice-Chairman in 1954. He also served on the Works Committee, 1951–54, the Finance Committee, 1955-56, and the City Planning and Improvements Committee, 1955–56. As a result of a request from Alderman Richard Holmes, the Markets Branch was separated from the Town Clerk’s Department in 1956 and the City Markets Department was created to control a market area of about 13 acres.